Earlier this year, I wrote a blog titled “Being a Female Worship Leader is Hard”. At the time that I wrote it, I was simply getting some things off my chest and at the same time providing a few resources for women who might be encountering the same difficulties. In the blog, I talked about being the first full-time female worship leader hired at my church. I talked about being the only woman in a department of all dudes. I talked about the lack of song selection available for female worship leaders vs. male worship leaders. But most importantly, I tried to provide resources to help counteract some of these things. I wanted to be a mentor from afar to any female worship leaders who might stumble onto this blog. My heart has always been for women in worship. When I first stepped into the door of worship leading, I was blessed to have a male mentor who took me under his wings and started developing my skills. He saw potential in me and took the time to invest in that potential. Unfortunately, he couldn’t help me when I came with questions and struggles about being a female worship leader. I longed for a female mentor who could teach me her ways. But unless I was living in Australia with Darlene Zschech, I wasn’t going to find anyone around here. This generation is the first wave of prominent female worship leaders in the church. And so my passion has turned to leading others up, and being the female mentor that I never had. As this year began to fly by, I kept getting emails and responses to my blog. Women from all over… Oregon, Kentucky, even Australia. The messages were unique but all the same… I AM GOING THROUGH THE SAME THING. The more responses I got, the more convicted I became about this project. I feel called to do this project, so much so that if I don’t do it, I will feel like I am being disobedient to God’s calling on my life. It pumps me up to know that I can be a help to other women in this way. The plan of action is to create a website… a hub… a place where women can go to be empowered for service. 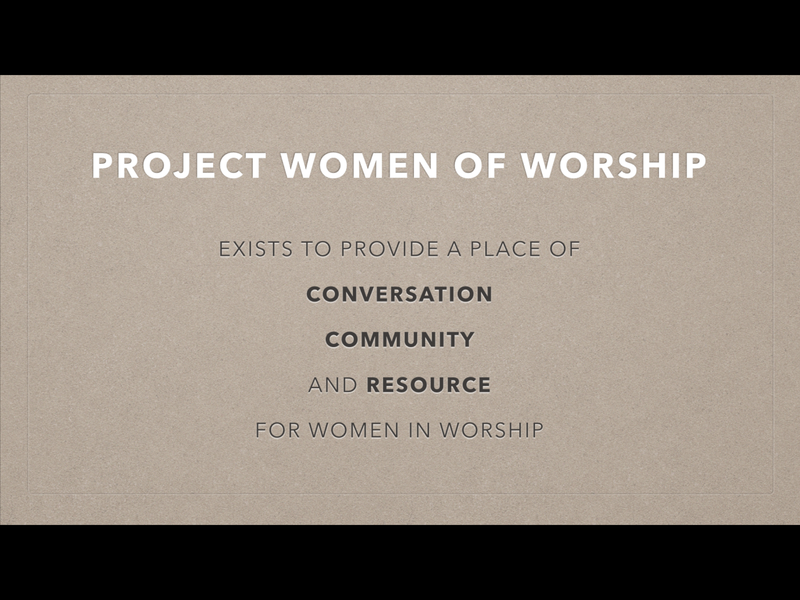 As I mentioned before, ProjectWOW, or project women of worship, exists to provide conversation, community, and resource for women in worship. The three areas of conversation, community, and resource would be the main focus of the website. So let’s start with CONVERSATION. This area of the website would be a place to talk about and bring up topics such as loneliness… dealing with insecurity… how to lead a team of all guys… how to gain buy-in from your congregation… etc. 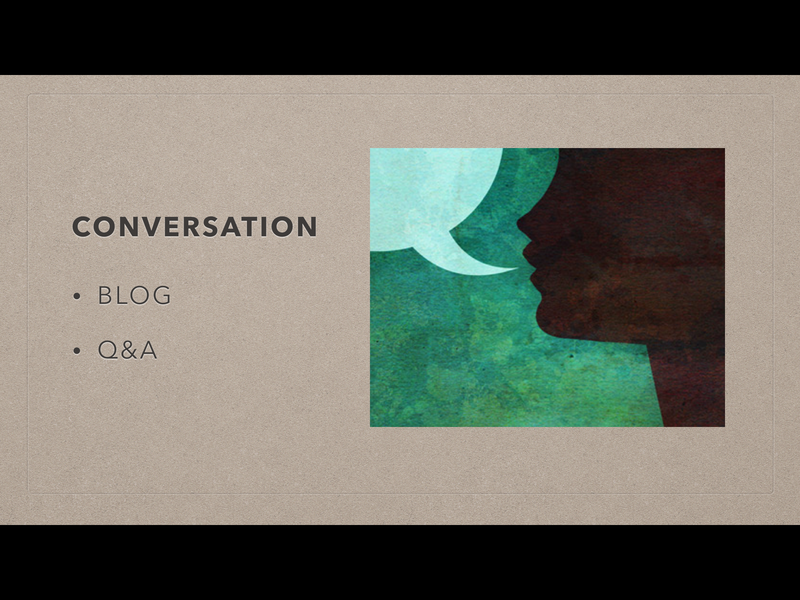 The conversation would be fueled by 2 things: a blog and Q&A. The blog would be written by myself and a few other women who have a heart to teach and encourage women in their journey as worship leaders. The readers of this blog would have a chance to respond and converse about the topics presented. The Q&A section would be a place where women can ask any question they want. The question would then be answered by a panel of trusted women in worship either through a direct message or in the form of a blog. Again this section would simply be a place to discuss… ask questions… and start conversation. The next area of the website would be COMMUNITY. This area would be a place where women in worship can meet each other and begin to form relationship. On the website, women will have the opportunity to sign up to be in a WOWconnect Group. This group would be facilitated through google hangouts, and once a month women would be able to get together online to talk, encourage, and pray over each other… even if they are located across the country from one another. One of the things that I think is so beautiful about this is that women can connect with people outside of their own environment. It is a safe place, and it is a place where women can walk alongside each other in their journey. Love this section and I really believe it is going to create some beautiful new connections between women in worship ministry. Because there are not a lot of female-led songs out there, female worship leaders have to take male led songs and transpose them to the appropriate key. For example… in the song Mighty to Save by Hillsong, the original range of the song is from E to E , but in order for women to comfortably sing the song, they have to move the range of the song from C to C. Unfortunately, many of the resources associated with those songs are only found in the male range which makes sense because the songs are written for guys. 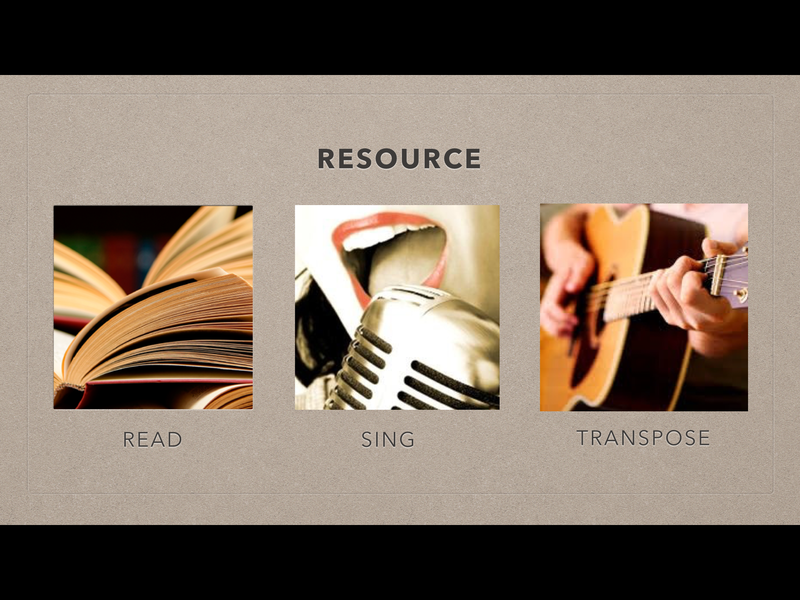 Now when I talk about the resources available, I am talking about a few things: the Recording (or the song itself), the Music Charts (which are not much of an issue because we now have programs that transpose music for us), and the Tracks to the songs (which are basically the instrument and vocal parts of the song). Now to let you in on a little secret… at the weekend services at CCV, we actually use tracks when leading worship. So say we don’t have a second electric player on the team, we will actually play the second electric part through a program, and our band plays along with that track. Now you know!!! But unfortunately, if that song is originally in a guy key, the tracks are not available in the female key. Sometimes we are able to transpose, or slide the notes up to the new key, but it usually doesn’t have the same quality or professionalism in the sound. For example… This past weekend I led out on the song, Mighty to Save. On Sunday morning, one of our guy worship leaders led the song in the key of A. But for Sunday night, I led out on the song in the key of F#. Instead of creating a new arrangement, we just transposed the tracks (or rather slid the notes to my key). Unfortunately, the piano lead line in the song ended up not sounding as great and didn’t have as much impact, because ultimately that song was not written for that key. So to sum it up, let’s just say this: Women don’t have very many songs to choose from, and they are in need of arrangements that are specific to them in a range that is comfortable to sing. Another note worth making is that because there are so many male led songs and resources available, it really is easier and less time consuming to choose a male-led song for the set. To put it in perspective, it would take my music director 20+ hours to create a new female arrangement for me. Many times, there is not enough time during the week to do this. So the solution… I want to provide this resource for churches by going through the top 100 worship songs, finding the male-led songs that would translate appropriately to a female range, and create new female arrangements for the songs. I want these new arrangements to be a resource that women AND MEN can use in their church setting to lead worship. When I was first brainstorming and dreaming through this website, one of the questions I asked myself was… As a female worship leader, what resources do I wish were available? Transposed songs and new arrangements for females was one of the biggest things that came to my mind. And the more I talked to other women in worship, the more I realized they wished for that too. So this section holds the most weight for me, but unfortunately costs the most money to create. To create a new arrangement for one song, it costs appx. $1000. Because essentially, myself and a team of musicians would be creating a new song… and recording new parts. It is a lot of time and a lot of resource required, and you can imagine the cost of just this section alone. It is a big dream, but something I believe will revolutionize the way women are equipped to lead worship. So to recap… projectWOW, or project women of worship, exists to provide conversation, community, and resource for women in worship, and the avenue with which I am providing these things is through a website. In conclusion, think on these things… The worship experience in church should represent God’s kingdom. It should be beautiful and diverse. Unfortunately, women are the minority in leading the worship experience. And we as women in worship need a place where we can grow something that is a vital part of the church. ProjectWOW is that place. It is a tool that will help women to fulfill their calling in life. 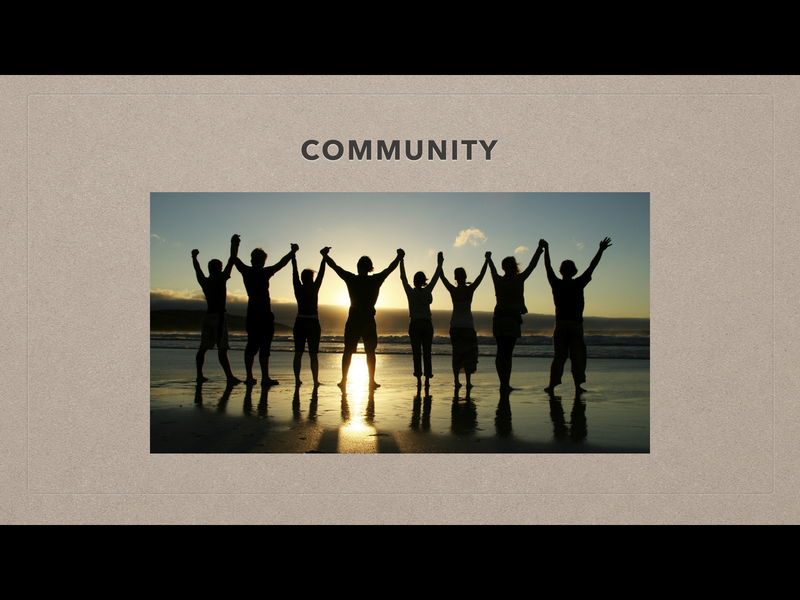 It is a place that will provide community, conversation, and resource. I am asking that we come together, whether you are a female worship leader or not, and help start something that will give women the proper tools they need to thrive. And ultimately, our worship experience in church will represent true community and God’s kingdom at it’s best.